Vigilance Test is a widely used screening approach of mental processing capacities, psychomotor speed, alertness and continuous attention. The test is best described a visual tracking task. 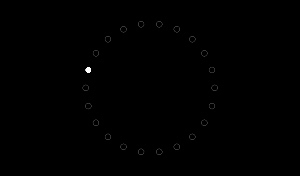 Track a small dot moving in consistent steps through a circle and respond to the rare event of a double-step.